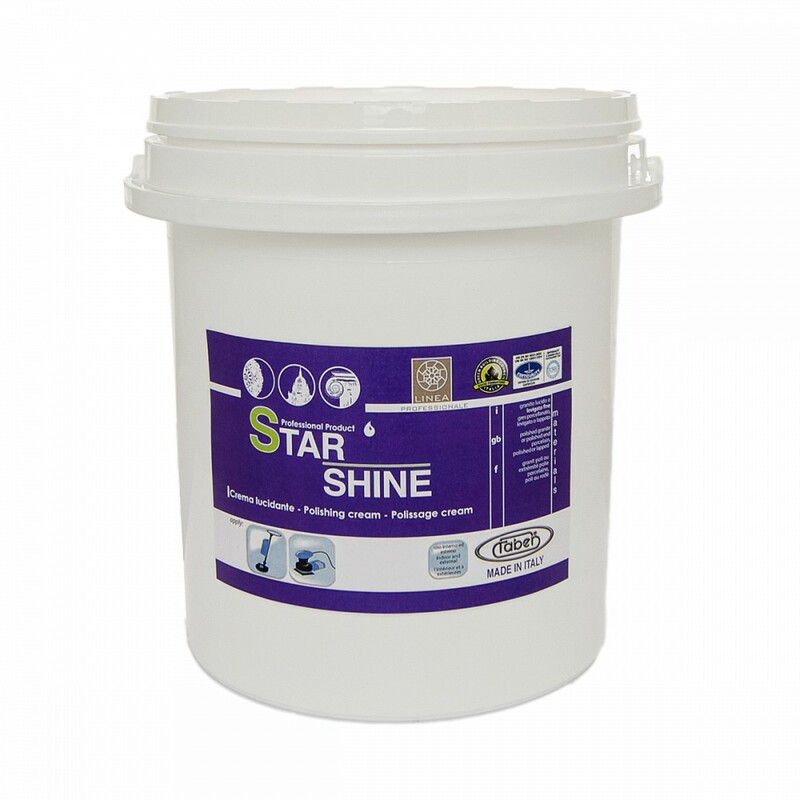 STAR SHINE is a high-performance, water-based cream polish for use on granite, porcelain stoneware, quartz and siliceous materials in general. STAR SHINE stands out for the deep, vitreous shine it is able to leave on surfaces, as well as its ability to definitively seal and close the pores on materials that were opened during the mechanical polishing process, which is the main cause of dirt build up on this type of surface. The results achieved with STAR SHINE, both in terms of shine and dirt protection, are also extremely durable and resistant over time. This makes it the ideal solution to polish and maintain surfaces that are usually subject to continuous, intense foot traffic, where the product is also able to increase non-slip resistance on dry floor conditions. STAR SHINE makes it possible to achieve a higher level of shine than would be possible with just mechanical polishing, and its use brings out the full tone of natural materials, if this has been dulled over time. STAR SHINE does not cause differences or defects from overlapping, once applied evenly over a whole surface. STAR SHINE contains no wax but it acts directly on the surface from a chemical and mechanical viewpoint. STAR SHINE, like all polishing creams by Faber, will maximise the effect of the polishing process, making the whole operation much simpler by effectively replacing the time-consuming final steps in the mechanical polishing process. This means it is possible for the operator not to have to use end-stage polishing grains which drastically cuts the time, energy, effort and the amount of water needed to complete the polishing process.